Now this bridge is a bit of a special one. 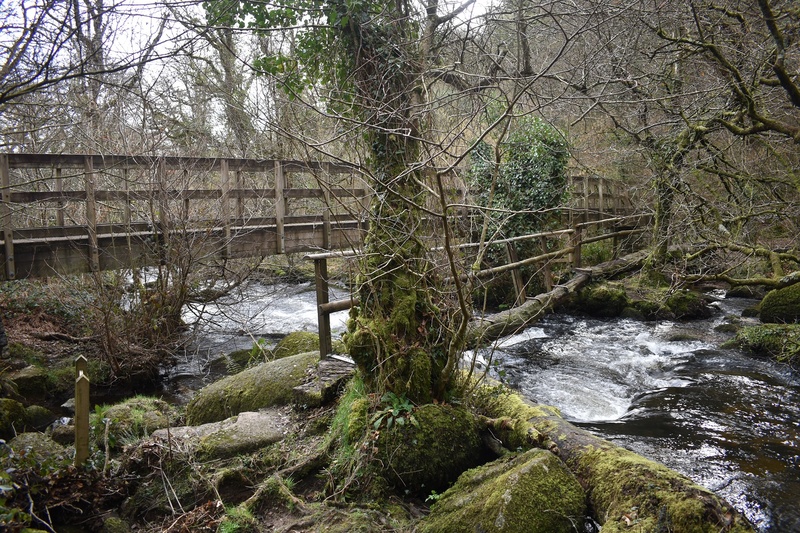 The Lustleigh Clam or Tree trunk bridge as it locally known is an old crossing of the River Bovey, between Manaton and Lustleigh. 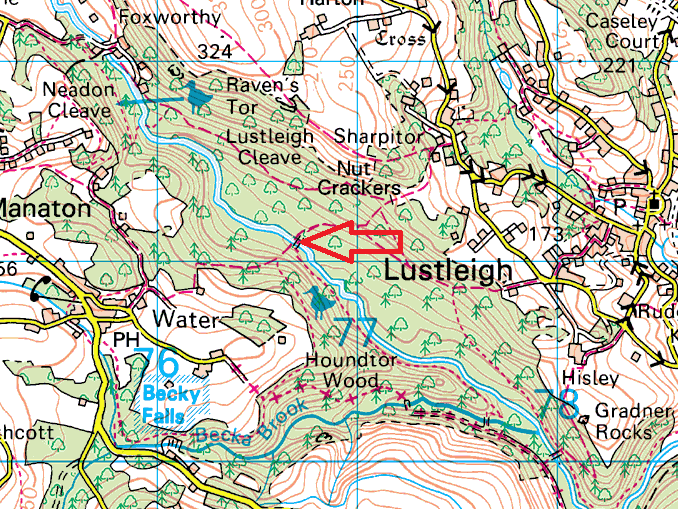 It has been there since at least 1888 (ordnance survey maps) so is well over 100 years old now. Yes the trunks have been replaced a few times, but its a classic structure, unique in its type. It comprises of two tree trunk logs, end to end across the river, with a handrail on one side to steady the walker. 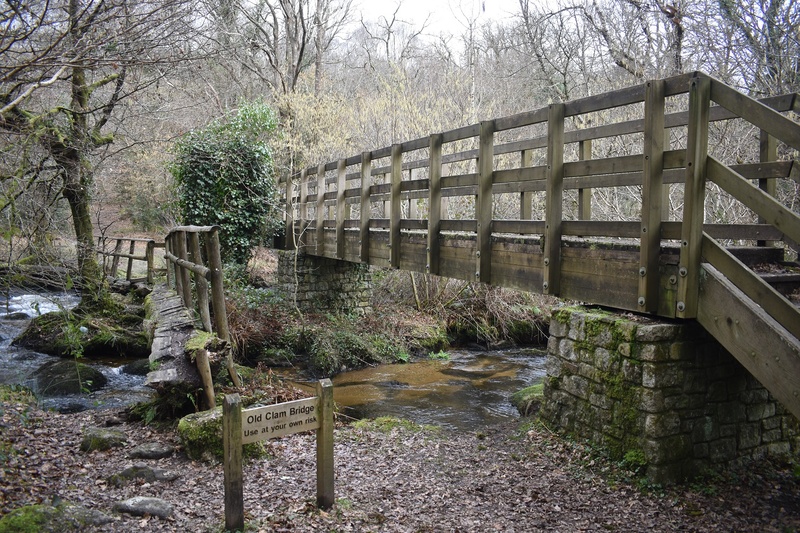 Now in 2007, the health and safety crew got involved and decided that the lawsuit was coming, so with help from helicopters, the local military and Devon County Council, they decided a more robust wooden bridge was needed. This was built and they then threatened to take down the original clam. Thankfully the old structure is still in place, and if anyone decides that in falling from that old structure that they now need to sue, consider that you had the choice of using the military built structure next to it. Despite the new bridge, this is a brilliant piece of Dartmoor history that needs to be kept as is.